There are no reviews for Promo March '93 yet. You can write one. 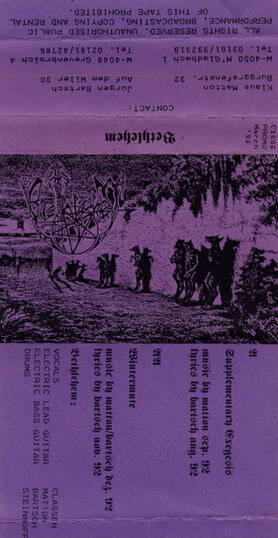 - Re-released in June/July 1993 by Nightmare Records on 7" called Thy Pale Dominion, with new cover. - Re-released in May 1995 on 7" by Red Stream, Inc. again called Thy Pale Dominion. Recorded at Coma Studios, Dormagen, March 1993.